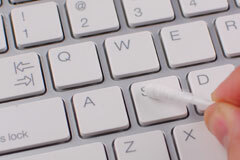 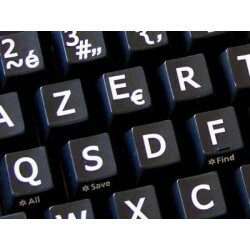 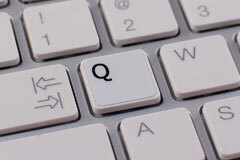 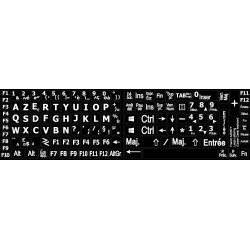 The French AZERTY Large Lettering Upper case Stickers are made of high-quality non-transparent - matt vinyl, thickness - 80mkn, typographical method. 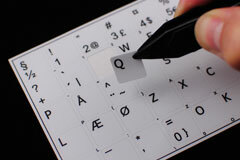 Each sheet of stickers is completely laminated, thus, all characters stay underneath film, which ultimately makes stickers even more durable. 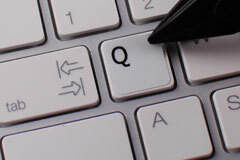 The application process is very simple as well as straight forward. 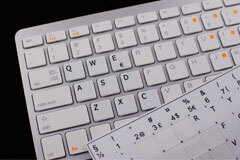 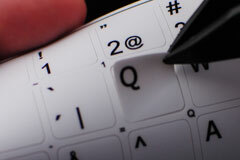 The application of Large Lettering Keyboard stickers doesn't take more than 10-15min. 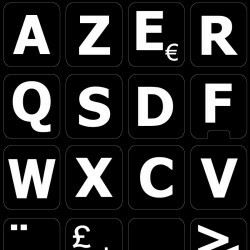 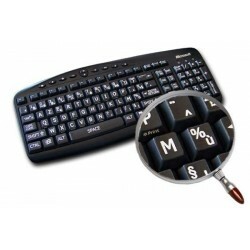 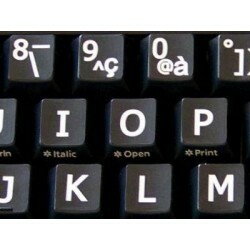 And you can immediately enjoy your brand-new French AZERTY Large Lettering Upper case keyboard.